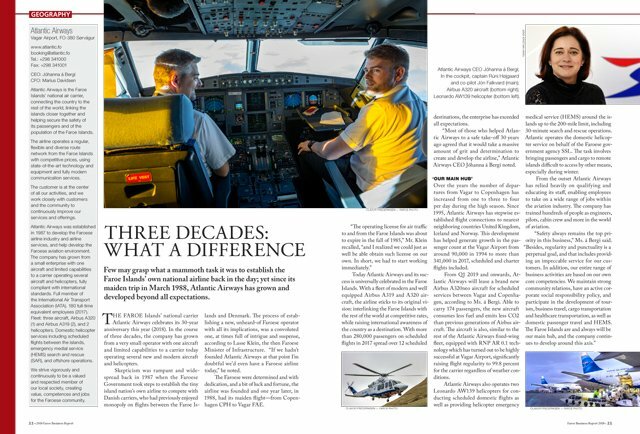 Few may grasp what a mammoth task it was to establish the Faroe Islands’ own national airline back in the day; yet since its maiden trip in March 1988, Atlantic Airways has grown and developed beyond all expectations. The Faroe Islands’ national carrier Atlantic Airways celebrates its 30-year anniversary this year (2018). In the course of three decades, the company has grown from a very small operator with one aircraft and limited capabilities to a carrier today operating several new and modern aircraft and helicopters. Skepticism was rampant and widespread back in 1987 when the Faroese Government took steps to establish the tiny island nation’s own airline to compete with Danish carriers, who had previously enjoyed monopoly on flights between the Faroe Islands and Denmark. 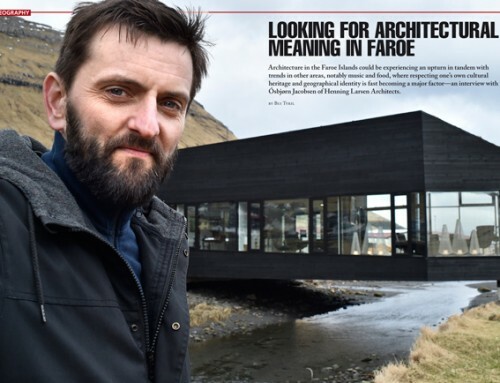 The process of establishing a new, unheard-of Faroese operator with all its implications, was a convoluted one, at times full of intrigue and suspense, according to Lasse Klein, the then Faroese Minister of Infrastructure. “If we hadn’t founded Atlantic Airways at that point I’m doubtful we’d even have a Faroese airline today,” he noted. The Faroese were determined and with dedication, and a bit of luck and fortune, the airline was founded and one year later, in 1988, had its maiden flight—from Copenhagen CPH to Vagar FAE. 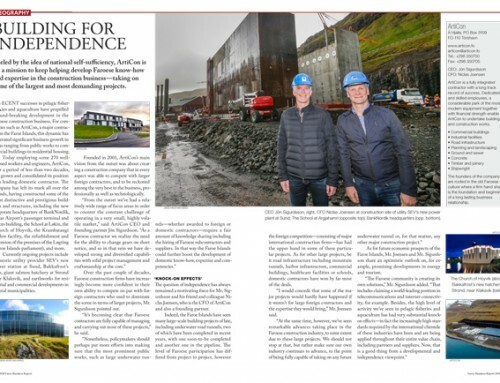 Today Atlantic Airways and its success is universally celebrated in the Faroe Islands. With a fleet of modern and well equipped Airbus A319 and A320 aircraft, the airline sticks to its original vision: interlinking the Faroe Islands with the rest of the world at competitive rates, while raising international awareness of the country as a destination. With more than 280,000 passengers on scheduled flights in 2017 spread over 12 scheduled destinations, the enterprise has exceeded all expectations. 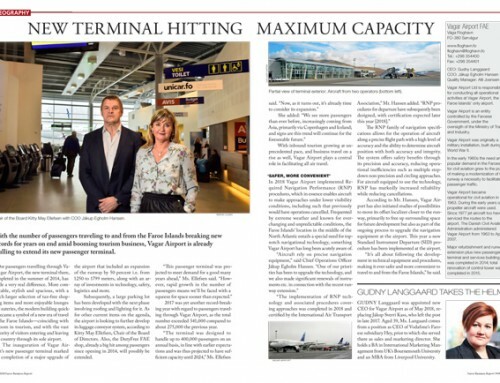 “Most of those who helped Atlantic Airways to a safe take-off 30 years ago agreed that it would take a massive amount of grit and determination to create and develop the airline,” Atlantic Airways CEO Jóhanna á Bergi noted. Over the years the number of departures from Vagar to Copenhagen has increased from one to three to four per day during the high season. Since 1995, Atlantic Airways has stepwise established flight connections to nearest neighboring countries United Kingdom, Iceland and Norway. 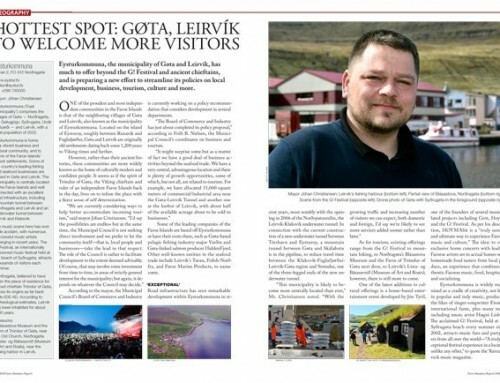 This development has helped generate growth in the passenger count at the Vagar Airport from around 90,000 in 1994 to more than 341,000 in 2017, scheduled and charter flights included. From Q1 2019 and onwards, Atlantic Airways will lease a brand new Airbus A320neo aircraft for scheduled services between Vagar and Copenhagen, according to Ms. á Bergi. Able to carry 174 passengers, the new aircraft consumes less fuel and emits less CO2 than previous generations of Airbus aircraft. The aircraft is also, similar to the rest of the Atlantic Airways fixed-wing fleet, equipped with RNP AR 0.1 technology which has turned out to be highly successful at Vagar Airport, significantly raising flight regularity to 99.8 percent for the carrier regardless of weather conditions. Atlantic Airways also operates two Leonardo AW139 helicopters for conducting scheduled domestic flights as well as providing helicopter emergency medical service (HEMS) around the islands up to the 200-mile limit, including 30-minute search and rescue operations. Atlantic operates the domestic helicopter service on behalf of the Faroese government agency SSL. The task involves bringing passengers and cargo to remote islands difficult to access by other means, especially during winter. From the outset Atlantic Airways has relied heavily on qualifying and educating its staff, enabling employees to take on a wide range of jobs within the aviation industry. The company has trained hundreds of people as engineers, pilots, cabin crew and more in the world of aviation.